Natural Granite and Marble LLC is a granite countertops and marble installer in Raleigh, NC. They offer great craftsmanship and outstanding service at a reasonable cost. 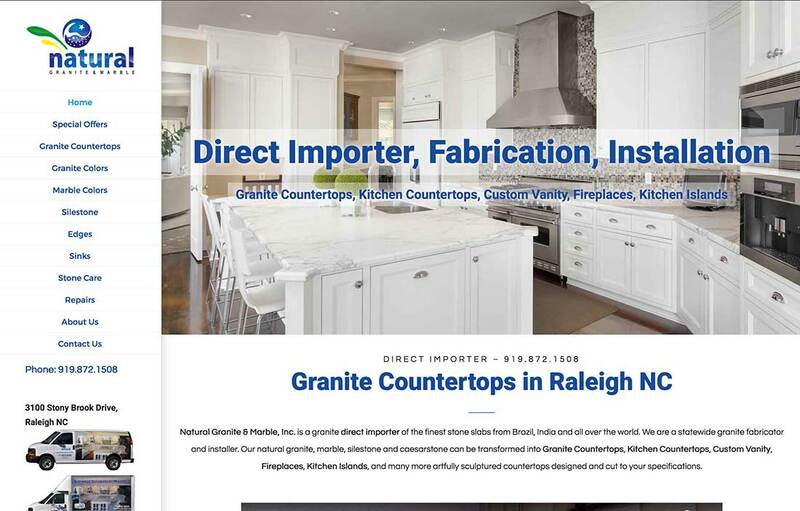 Natural Granite Marble designs and installs a variety of stone remodeling tops and accessories including kitchen granite countertops, bathroom countertops and fireplaces throughout the Triangle and surrounding areas. Natural Granite and Marble LLC is a granite countertops and marble installer in Raleigh, NC.